This is an exciting month in the Austin music scene, as the big SXSW Festival will be taking place March 8th-17th. 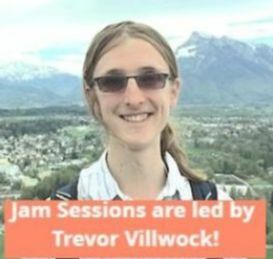 Whether you’ve purchased tickets or not, there are plenty of things to look forward to–such as a FREE concert this weekend featuring our wonderful teacher, Trevor Villwock! See the flyer below for more details. Here at the school, we’re continuing our strong forward momentum with more opportunities, more changes, and more music. Be sure to follow us on social media to keep up with all the cool things happening both inside the school and out, and as always, thank you for being here! 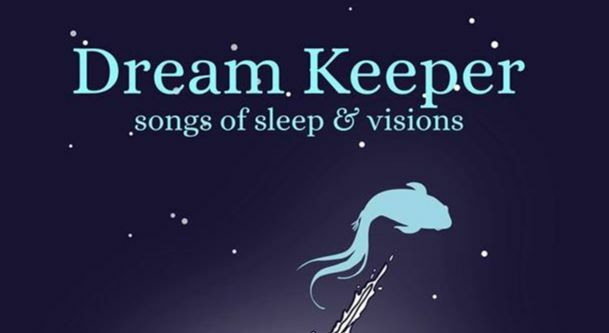 Come support our very own Trevor Villwock THIS WEEKEND for two shows featuring his latest composition, “dreaming of zeno”. The members of Inversion Ensemble will be performing on Saturday, March 2nd and Sunday, March 3rd. Both are FREE to attend, so come help us congratulate one of our amazing teachers on his accomplishment! Not everyone can afford a ticket to SXSW; luckily, there are plenty of free events happening around town! 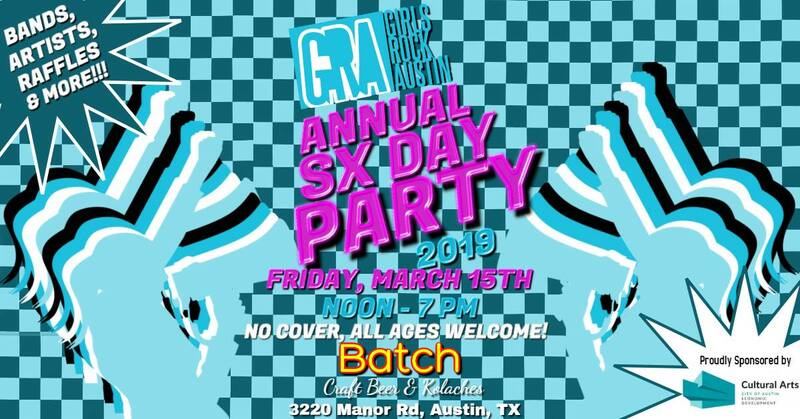 Girls Rock Austin is hosting a SXSW party at the Batch on Friday, March 15th. Join them for a day of food, music, and fun! 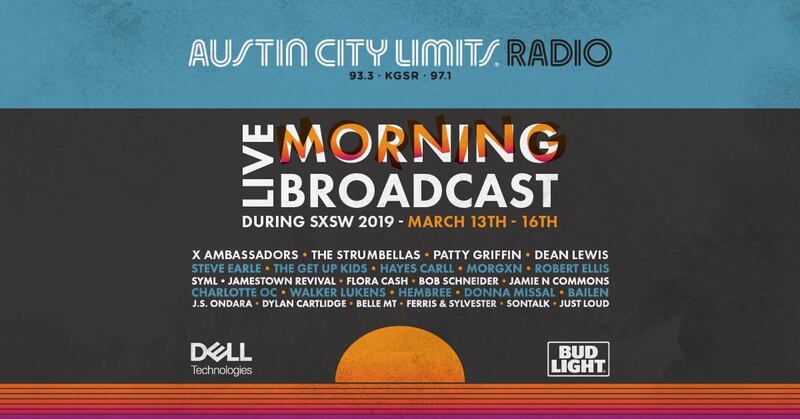 For a deeper SXSW experience, tune in to ACL Radio 93.3 throughout the week of the festival to hear live music and interviews from featured artists! Supported by the Make-A-Wish Foundation. Have you been working hard on your classical music skills? Looking for a way to play with other musicians in a warm, welcoming setting? Classical Jams Austin is hosting jam sessions at Batch on the last Monday of every month! Join them on Monday, March 25th, sign up, and show off that piece you’ve been perfecting! 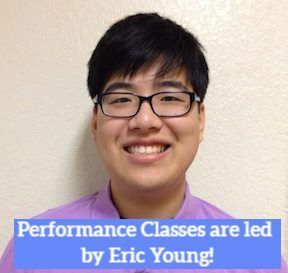 Our next Performance Class will be on Saturday, Marth 16th. Our next JPR Jam Session will be on Saturday, March 30th. Details and sign-up coming soon! A reminder that our school will be CLOSED for Spring Break, which means no lessons from Monday the 18th through Sunday the 24th. Regular lessons will resume on Monday the 25th. Enjoy your break everyone! Want to be seen in our newsletter? Have a music recommendation to share with your fellow students? Introducing Student Feature, a new section of the website where you get to shine! 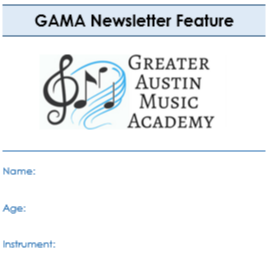 Fill out a “GAMA Newsletter Feature” form, available in the lobby, and you could be in next month’s letter! Need a refresher on a certain part of our school’s policy? Policy Recap pamphlets are available in the lobby! We’ve taken a few of our most asked questions and written down the answers for easy reference. Feel free to pick one up and take it home with you! Want to learn more about our school? 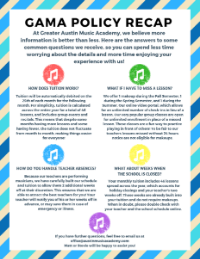 Our professional teachers and staff are here to help you start your musical journey! We teach all ages and levels, from children through adults. Just fill out the form below with any questions you might have and we’re glad to help!